These guys had a lot of work during the football Champioship. As always though. I am posting this in the Vienna airport where wi-fi is free. It is particularly pleasant after the German skinflints. -Is it a folk music instrument? -Yes, it is a local music instrument. Not a Swiss one! Not a Swiss one! The people look so similar from foreigners’ point of view (for Russians, Spaniards, Scandinavians) and their attention to national differences is very touching. 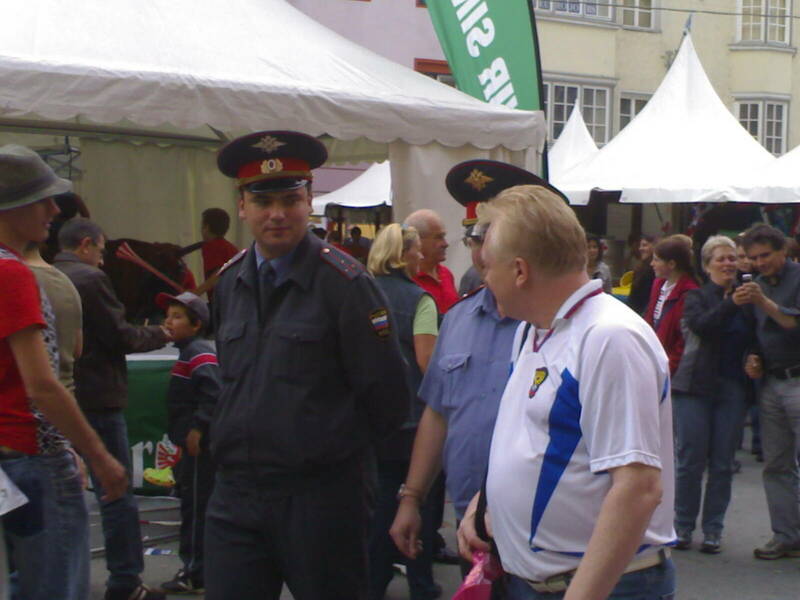 Russian police is working on EURO-2008 – for the first time in history of football. 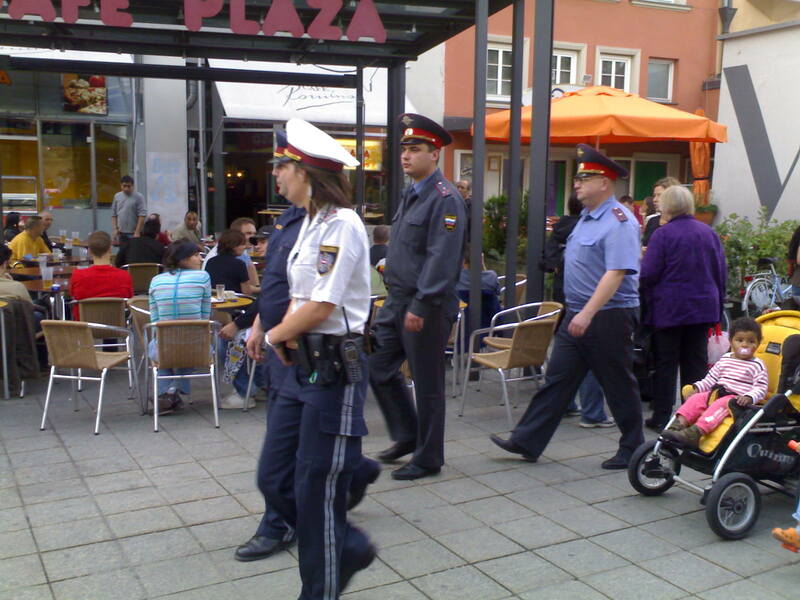 The guys were walking in the centre of Innsbruck, as I could see, accompanied by two local policemen. People shouted “Russland!”, took pictures with their mobile phones (on the photo below, right side), teenagers were excited, some adults even tried to talk to them. 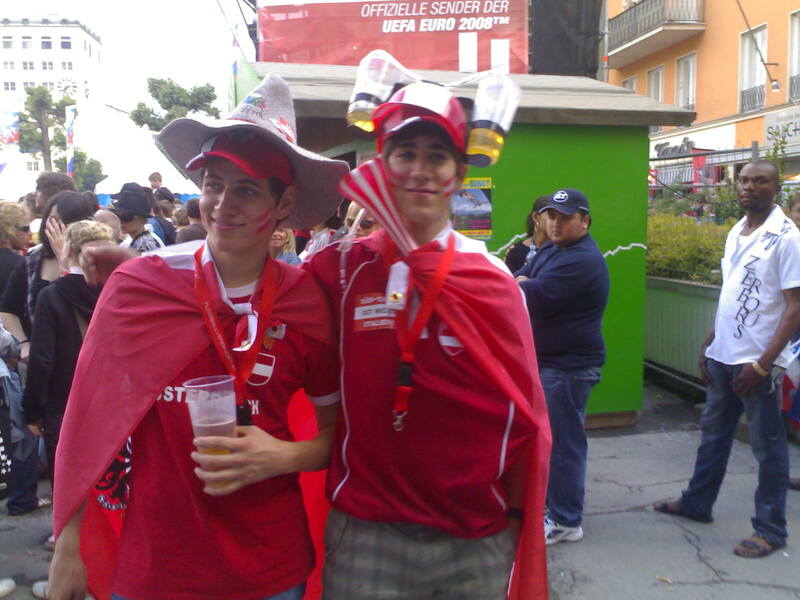 They were photographed as often as some football fans in bizarre clothes. Those policemen did look bizarre on that carnival. But in fact, it is a normal thing for a football competition nowadays. Well, perhaps, they were a bit too fat. It turned out there are countries worse than Germany! I mean smoking. Germans actually made some progress this year, it is now possible to eat out with smell of food around. But I just came to a restaurant in Austrian Lustenau – people are smoking, sitting with kids at a table. Three baby chairs in a corner are waiting for little customers – so touching! And ash-trays are on each table. – Do you have a non-smoking area? – No, smoking is allowed everywhere here. 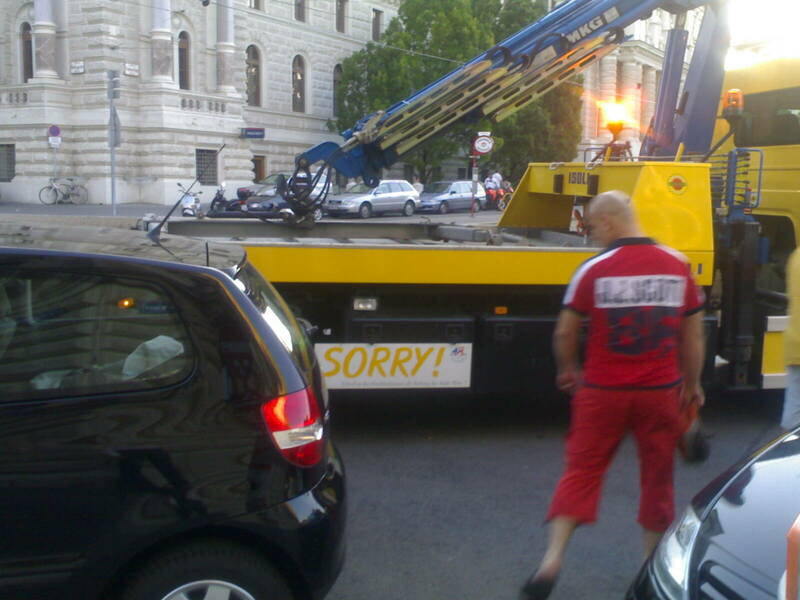 – Is it like this in the whole Austria? – Yeah. Either it is a smoking restaurant, or a non-smoking one. No mixing.